Attacker brute forces a SYSDBA user and wishes to create a user that is hidden from SYS.USER$. 3. Rename password file via UTL_FILE.RENAME (requires CREATE DIRECTORY). First how to get the location and filename of the OS based password file. By default it is in the same directory as the SPFILE which can be gained as follows. So here we go in SQL*PLUS for demo purposes. //create the backdoor SYSDBA user. //attacker gets rid of the sys.user$ entry by first creating a directory to access the password file. –copy back the password file by renaming it to the original name with the overwrite option set to TRUE. –attacker no longer in sys.user$ or dba_users but can logon remotely as SYSDBA. To secure against this first make sure that no one can brute force as SYSDBA(see previous OraBrute paper). 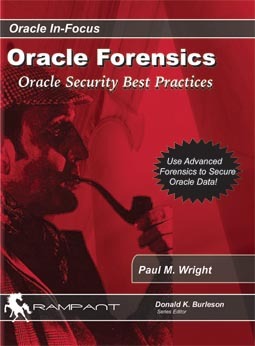 Then regularly check x$ tables and statecheck pwfile as well as oracle binary. In addition it is generally good security to remove means of accessing OS from DB both via UTL_FILE/Java and restrict the CREATE DIRECTORY privilege. In terms of forensic investigation the last modified timestamp on the file does not change when it is renamed but the last accessed does (NTFS) but that is for another posting…more to come….and Merry Christmas!